Dr. med. 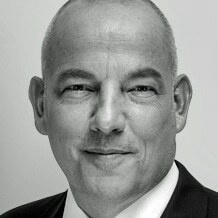 Oliver Wagner has 30 years of international experience in healthcare services, covering clinical medicine and management consulting as well as executive strategic and operational work in different healthcare ventures. Based in Munich, Germany, Dr. Wagner works as an independent professional advisor to national and international clients since 2007. He focuses on strategic leadership and business development, medical expert consulting and moderation within M&A and change management projects. Furthermore since 2015 Oliver is an affiliated partner of the consulting division of Schumacher Clinical Partners based in Atlanta, USA. After his medical training (Surgical Specialist) Dr. Wagner gained international experience in business consulting and hospital management. He worked with KPMG in International Healthcare Consulting and later became one of the first Chief Medical Officers in Germany at a leading Hospital Group. In the following decade he gained extensive experience in corporate leadership as shareholder, board member and managing director of operating and holding companies for hospitals, outpatient surgery centers and private specialized clinics in several European countries. Dr. Wagner studied Medicine in Germany, Australia and South Africa, received an M.D. and a Ph.D. in Medicine from the Ludwig-Maximilians-University School of Medicine in Munich, Germany and is a member of the German Surgical Society since 1996.